I looked at the calendar today and realized October 1 is this Friday! I want at least two more weeks in this year and I WANT THEM NOW!! The names keep pouring in for my NAME THAT BAR contest. Amazing, creative and clever names. You all are making my job much harder … somehow I have to choose only one. Darn. Remember, the contest runs only through September 30th, which is (cough) this Thursday, so if you have a suggestion, get it in before then. Sophia’s been resting … more or less. Revisions have been popping into my head at the oddest times. I like to take a few days off between completing the first draft and starting the revisions, but that time is nearly over. I expect to get back to the manuscript this week to do a first round of revisions before anyone else gets a chance to read it. Checking over at Fictionwise.com, I can tell you that RAJMUND is still holding onto the Dark Fantasy #1 spot, and RAPHAEL and JABRIL are right behind him at #3 and #4 respectively. That might change later this week, but … damn, it’s been six weeks since RAJMUND was released and my blue-eyed vamp is still number one! I’ll see you all next week, when in honor of the new month, I’ll be posting another deleted scene from RAJMUND. It’s the only scene I wrote from Emelie’s POV, which is why it got cut. But it’s a pretty significant scene in terms of Raj and Emelie’s future relationship, so I think you all will enjoy it. 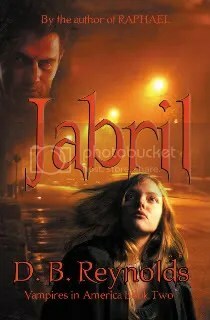 First, an update on RAJMUND, who’s still sitting in the #1 Dark Fantasy spot at Fictionwise.com with JABRIL #3 and RAPHAEL #4. That might change later this week, but for now it’s holding. And now for the new contest, which I’m calling Name That BAR! The book is nearly finished. I’m writing the last chapter and I still don’t have a name. So, I decided to let my readers come up with one for me. I’ve provided a description of the bar below. 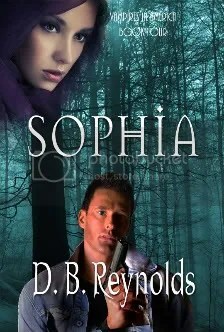 The winner gets recognition in the Acknowledgements of SOPHIA, plus an autographed copy of the book. And my undying gratitude, because I’ve got nuthin! I will select the name. This will be a purely subjective choice with me as the only judge. Once I’ve chosen the name, it is mine, and the winner releases any and all proprietary interests in said name. By entering the contest, you agree to the above conditions. You can enter as many names as you want, the more the better! As I mentioned, it’s located along a two-lane paved highway, which is sort of a back route between Seattle and the state of Idaho. It’s not well traveled, for the most part, although it does get big trucks from the lumber industry. The bar itself is surrounded on three sides by forest, the fourth side faces the highway. The interior is dark and smells of sweat and beer, no music but a juke box. The patrons of this bar are very rough and largely male, many employed in logging. Most women know to avoid the place. Fights are common and they frequently end up with someone bleeding and/or being driven to the nearest hospital/clinic which is a good three hour drive. So that’s it. The contest will run through the end of September. After that, I’ll study the names and pick the winner by October 15. I’m going back to SOPHIA now. One more big scene and then it’s wrapping up the story time … and Duncan, mustn’t forget Duncan. On SOPHIA, that is. I’m down to the last few scenes for Book #4. Of course, these last scenes are some of the hardest ones to write, because they’re full of blood and violence and moving fast! 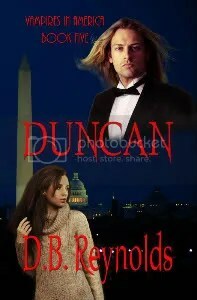 Plus the all-important Epilogue which will tantalize readers (as if you need more tantalizing) for DUNCAN, which comes next. And this is only the first draft of SOPHIA, but once it’s on paper, for me the story is truly gelled. I’ll squish it here and there, but my first drafts are fairly comprehensive and pretty clean. I’m too obsessive to let details or grammar slide, even in a first draft. 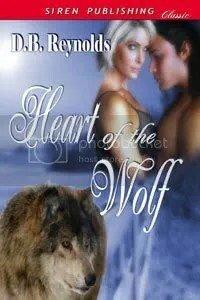 RAJMUND continues to be #1 in Dark Fantasy at Fictionwise.com. And my books are still holding onto 3 of the top 5 spots, although JABRIL has bumped RAPHAEL out of #3. RAPHAEL is now sitting behind JABRIL at #4. 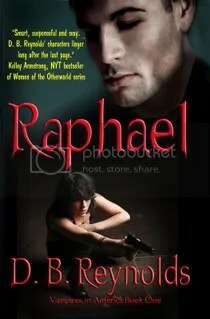 And I’m totally thrilled to announce that RAPHAEL is the featured book this month at at Kelley Armstrong’s Book of the Month discussion. I’ll be hanging around answering questions and we’ll be giving away a book of the winner’s choice at the end of the month. All you have to do is join the discussion and you’re entered in the giveaway. In order to participate, you have to register for Kelley’s board, if you haven’t already, because that’s how they keep out spammers, but it’s quick and easy, so join me at Kelley Armstrong’s Forum. I’m lining up a few new promos for coming months, including something very different for October. But that’s for later … much later. One last thing … my publisher, ImaJinn Books, has a Labor Day sale going on this weekend. 10% off your order, both print and e, and including all three books by yours truly. Check it out! And now, it’s back to SOPHIA. Raphael’s out for blood and I want to see what happens!